For over 10 years, Claus has been the Head of Corporate Sustainability at Novozymes. He works closely with its customers and partners to develop innovative solutions for solving environmental and social challenges, at speed and at scale, through core business activities. Professionally engaged in sustainability for more than 25 years, Claus was one of the pioneers in the development of Life Cycle Assessment (LCA) methodologies and sustainability concepts for business. As stakeholders have increasingly become engaged in Public Policy issues around the global sustainability agenda, Claus also took on the role of Head of Public Affairs for Novozymes in the EMEA Region. 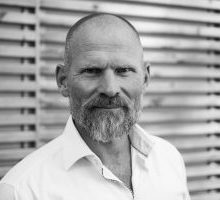 Claus is currently Novozymes Liaison Delegate to the World Business Council for Sustainable Development (WBCSD), Claus also represents the company as a UN Global Compact LEAD member. He also serves in the Sustainability Council of Ingersoll Rand and sits on the Advisory Board of the Sustainable Brands organization. Previously, Claus has served on sustainability boards and councils to Walmart, Procter & Gamble and The Sustainability Consortium. In 2016, the United Nations Global Compact recognized Claus for his work to align business with the sustainable development agenda, by naming him “Pioneer for Sustainable Business Strategies”. Claus holds a M.Sc. in Chemical Engineering and a Ph.D. in Sustainability Management, and is an appointed Honorary Professor at the University of Aalborg and the Copenhagen Institute of Technology, where he contributes to the development of future leaders by teaching sustainability and business strategy.